When I was asked to write a story about this video, I was ecstatic. See, for years, I raised baby goats. Then my daughter raised them, and then my granddaughter followed after us. 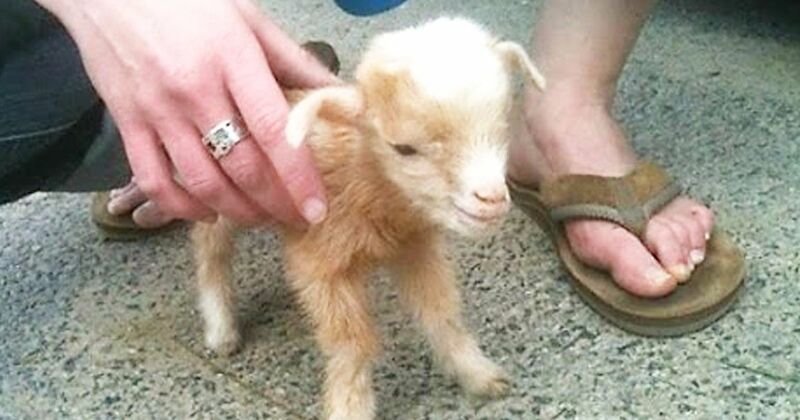 And believe me when I tell you, there is nothing cuter than a baby goat! It's as if someone put springs inside of them and turned them on to give the energizer bunny a run for his money! They are so full of life that you can't help but feel the raw joy that powers their small bodies as they cavort as capriciously as, well, a goat. Take this little grey fellow, for instance. He spends his time leaping from one obstacle to another, seemingly airborne much of the time. His little legs propel him into the air from the day of his birth, and he doesn't let up until he falls asleep from exhaustion! Little goats—called kids—are always hungry. And while it's not true that they'll eat anything, the do like to taste a surprising array of things. Once, one of my goats ate an entire chili ristra! About the only thing cuter than a baby goat is two baby goats. The way they play with each other will tickle you pink. They jump over, on, and around each other in a dizzying dance that will positively delight you. Look out, Dancing With The Stars! But if you don't have two goats, another animal will suffice. Dogs, cats, donkeys, even chickens have been seen in their world of play. 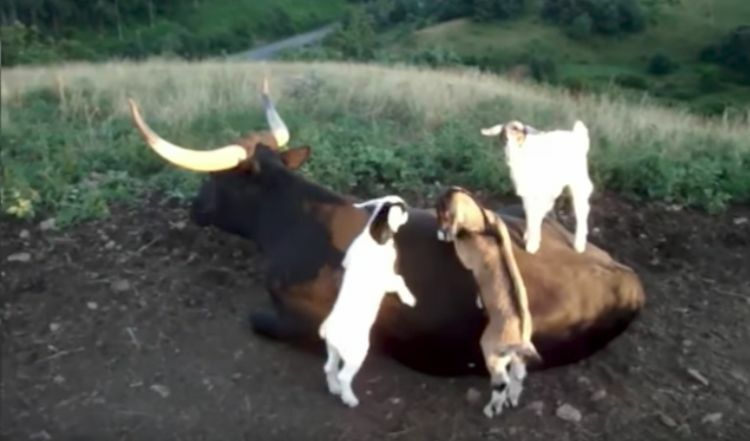 I remember coming out to see all of my little kids playing "King of the Mountain" on my horse who was lying down, just like these guys are doing with this longhorn steer. Believe me, I could tell you stories! But you really should click on the link and watch this video. I haven't even scratched the surface of the kinds of tricks and pranks baby goats play. Share it with your friends on Facebook, because it is really worth the share. And then let us know what you think in the comments!